American Eagle is more than just a fashion choice, it’s a life style for its customers. 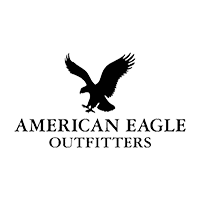 AEO offers high-quality, on-trend clothing, accessories and personal care products at affordable prices. AEO makes jeans for every body, to celebrate individuality, freedom and difference, it wants its customers to share their true selves in the world, by expressing their style, creativity, stories and strengths.